I’ve posted so much on the sham that is catastrophic anthropogenic global warming that I feel I don’t really need do so anymore. Thankfully, according to a new Pew Research Center poll, Americans are really starting to see that a theory is just that–a theory–and junk-science won’t be taken seriously when so much is on the line. I rather see this as a positive sign that people are beginning to question the charlatans who stand to gain so substantially from such shams as cap and trade–frauds like Al Gore and James Hansen–as opposed to the cynical view that is already believed by many liberals that Americans are simply too dumb to know what’s good for them. I’m so looking forward to the day when those on the left (and some on the right) who support the idea that man is primarily responsible for changes in our climate are found… wrong. Could This Be the Deathnell for Man-Made Global Warming Alarmism? The central question I have here is, “why has no one inspected these stations before?” I suppose everyone takes for granted that, at the very least, the instrumentation used to measure global temperatures would exist in a sort of vacuum–sensibly placed, with intelligent forethought into the environments wherein they were to abide while undergoing regular and reasonable maintenance. According to a recently launched study by Anthony Watts at his site Surface Stations (currently offline understandably due to excessive traffic), anthropogenic global warming may in large part simply be due to human error, and possibly stupidity, when placing weather stations, and specifically global temperature measuring thermometers. Mr. Watts is still in the beginning stages of his study (50 stations out of around 1200 in the United States) and drawing serious conclusions at this point might be a tad hasty. If his early inspections are anything to go by though, the pro-anthropogenic global warming camp may have to dream up a new way to bamboozle the public into believing that man is primarily responsible for the inevitable world-wide catastrophe due to our meddlings in the ways of mother nature (for crying out loud, the United Nations has just claimed that global warming is responsible for the genocide in Darfur–it looks as if U.N. Secretary General Ban Ki-moon is turning out a greater kook than was Kofi Annan. Who knows? Perhaps the inconvenient truth is that Paris Hilton is more pertinent than global warming. Remember in January when the National Oceanic & Atmospheric Administration (NOAA) and its good friends in media trumpeted that 2006 was the warmest year on record for the contiguous United States? NOAA based that finding – which allegedly capped a nine-year warming streak “unprecedented in the historical record” – on the daily temperature data that its National Climatic Data Center gathers from about 1,221 mostly rural weather observation stations around the country. Few people have ever seen or even heard of these small, simple-but-reliable weather stations, which quietly make up what NOAA calls its United States Historical Climatology Network (USHCN). But the stations play an important role in detecting and analyzing regional climate change. More ominously, they provide the official baseline historical temperature data that politically motivated global-warming alarmists like James Hansen of NASA plug into their computer climate models to predict various apocalypses. NOAA says it uses these 1,221 weather stations — which like the ones in Uniontown and New Castle are overseen by local National Weather Service offices and usually tended to by volunteers — because they have been providing reliable temperature data since at least 1900. But Anthony Watts of Chico, Calif., suspects NOAA temperature readings are not all they’re cracked up to be. As the former TV meteorologist explains on his sophisticated, newly hatched Web site surfacestations.org, he has set out to do what big-time armchair-climate modelers like Hansen and no one else has ever done – physically quality-check each weather station to see if it’s being operated properly. To assure accuracy, stations (essentially older thermometers in little four-legged wooden sheds or digital thermometers mounted on poles) should be 100 feet from buildings, not placed on hot concrete, etc. But as photos on Watts’ site show, the station in Forest Grove, Ore., stands 10 feet from an air-conditioning exhaust vent. In Roseburg, Ore., it’s on a rooftop near an AC unit. In Tahoe, Calif., it’s next to a drum where trash is burned. Watts, who says he’s a man of facts and science, isn’t jumping to any rash conclusions based on the 40-some weather stations his volunteers have checked so far. But he said Tuesday that what he’s finding raises doubts about NOAA’s past and current temperature reports. Meanwhile, you probably missed the latest about 2006. As NOAA reported on May 1 – with minimum mainstream-media fanfare – 2006 actually was the second- warmest year ever recorded in America, not the first. At an annual average of 54.9 degrees F, it was a whopping 0.08 degrees cooler than 1998, still the hottest year. NOAA explained that it had updated its 2006 report “to reflect revised statistics” and “better address uncertainties in the instrumental record.” This tinkering is standard procedure. NOAA always scientifically tweaks temperature readings for various reasons — weather stations are moved to different locations, modernized, affected by increased urbanization, etc. NOAA didn’t say whether it had adjusted for uncertainties caused by nearby burn barrels. Will Media Ever Investigate Accuracy of Weather Stations? Posted by Noel Sheppard on June 18, 2007 – 15:30. Assume for a moment there was evidence some weather stations around the country were underestimating mean temperatures. Would a media fixated on expanding climate change alarmism investigate and report this phenomenon to demonstrate that the planet was actually warmer than people think? “60 Minutes,” “20/20,” and “Dateline” would have all done rather lengthy exposés into the matter, correct? Well, a former meteorologist for the CBS-TV affiliate KHSL in Redding, California, by the name of Anthony Watts has examined 48 of the 1221 weather stations in the 48 lower states, and found irregularities that could be skewing the data upward. To get an idea of the measurement environment that exists today at stations used to gather climate data, I visited the Chico State University Fram on Hegan Lane, south of the city, to do a site survey in the format done by Dr. Roger Pielke of Colorado State University. This station is part of the US Historical Climate Network of weather stations that have been used as the source for surface temperature data in many climate models and studies. There were some interesting discoveries. 2. There is clear evidence that both shelters have been repainted with latex paint, including brush marks and drip marks. 4. The surface at the site is mixture of gravel, soil, and debris. There is no grass. 6. The fiberglass composite NEMA electronics enclosure containing the data logger, radio modem, and solar battery charger are placed inside the CRS within 6-8 inches of the temperature/dp sensor. The 12 volt gel cel battery is also inside the CRS. These items may introduce a heat bias from the operating electronics. Watts was kind enough to include pictures of the site surveyed. Today I visited Marysville’s Fire Station, just off Hwy 70 at 9th and B Street, where they have the station of record for the city using the MMTS electronic sensor installed by the National Weather Service. The data from this station is part of the USHCN (US Historical Climatological Network) and is used in the computer modeling used to predict climate change. The Marysville station is located behind the fire department building on a patio and is probably the worst site visited so far. In addition to the sensor being surrounded by asphalt and concrete, its also within 10 feet of buildings, and within 8 feet of a large metal cell tower that could be felt reflecting sunlight/heat. And worst of all, air conditioning units on the cell tower electronics buildings vent warm air within 10 feet of the sensor. Oh and lets not forget the portable BBQ the firefighters use a “couple times a week.” The area has been constantly added to, what was once a grass rear yard was turned to a parking lot, then more buildings added, then a cell tower with one, then two electronics buildings and the air conditioners…no report on how long the firefighters were BBQ’ing back there, when they figured out why I was asking all the questions they clammed up. I can tell you with certainty, the temperature data from this station is useless. What this means is that the Marysville station is defeating the purpose of placing a temperature recorder outside of a major metropolitan area by creating an environment that looks nothing like a rural one. As a result, it is quite likely that the temperature readings at Marysville are being upwardly skewed by the environs. As you might imagine, these are but two examples of sites visited by Watts, and the reader is encouraged to go here and here for more of his research. Yet, the bigger question is why haven’t journalists looked into this matter? Isn’t this considered newsworthy? Any questions as to why major media outlets are not at all concerned with the accuracy of America’s weather stations? Posted by Noel Sheppard on June 19, 2007 – 14:29. On Monday, NewsBusters exposed some serious problems at a number of temperature data-collection facilities around the country. Jim Manzi [of National Review’s Planet Gore] recently posted on the problems encountered when experts undertook even a cursory examination of the U.S.’s surface temperature measuring stations, which are the world’s most reliable…a sobering thought for reasons we all shall soon see. Consider the below exemplar of those wonders of science and technology in the field of obtaining surface temperature measurements, from Hopkinsville, KY, where the instrument: a) abuts a brick house: b) actually abuts the chimney of a brick house; c) hovers just above a black asphalt pad, and; d) what’s that directly underneath it, but a Weber grill! There is a large green garbage receptacle just off to the left, in the photo, which is where I suggest the instrument might better lie. Next time you hear of a heat wave in Hopkinsville, KY, you might wander over to grab a burger. More likely than not the boys are just having a cookout. Here, the weather station was placed 2 feet off of a building, but conveniently next to a large air conditioning unit. Any thoughts on the localized ambient temperature when that baby kicks on? The folks at ClimateAudit have detected that our alarmist friends are aware, and already preparing for this story to get some legs. Our schools may be in pretty rough shape, but not that rough that this corruption of the surface data will go unnoticed. Of course, the question still remains: When will the mainstream media investigate and report this, or will this issue continue to be one only examined in the blogosphere? WITH understandable reluctance, Prime Minister John Howard recently donned the political hair-shirt of a carbon trading system. On the same day, NASA chief Michael Griffin commented in a US radio interview that “I am not sure that it is fair to say that (global warming) is a problem that we must wrestle with”. NASA is an agency that knows a thing or two about climate change. As Griffin added: “We study global climate change, that is in our authorisation, we think we do it rather well. Such a clear statement that science accomplishment should carry primacy over policy advice is both welcome and overdue. Nonetheless, there is something worrying about one of Griffin’s other statements, which said that “I have no doubt . . . that a trend of global warming exists”. Griffin seems to be referring to human-caused global warming, but irrespective of that his opinion is unsupported by the evidence. How then is it possible for Griffin to assert so boldly that human-caused global warming is happening? Well, he is in good company for similar statements have been made recently by several Western heads of state at the G8 summit meeting. For instance, German Chancellor Angela Merkel asserts climate change (i.e. 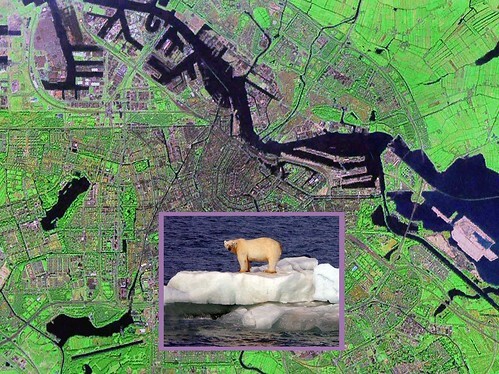 global warming) “is also essentially caused by humankind”. In fact, there is every doubt whether any global warming at all is occurring at the moment, let alone human-caused warming. For leading politicians to be asserting to the contrary indicates something is very wrong with their chain of scientific advice, for they are clearly being deceived. That this should be the case is an international political scandal of high order which, in turn, raises the question of where their advice is coming from. In Australia, the advice trail leads from government agencies such as the CSIRO and the Australian Greenhouse Office through to the Intergovernmental Panel on Climate Change of the United Nations. Australia does not ask the World Bank to set its annual budget and neither should it allow the notoriously alarmist IPCC to set its climate policy. It is past time for those who have deceived governments and misled the public regarding dangerous human-caused global warming to be called to account. Aided by hysterical posturing by green NGOs, their actions have led to the cornering of government on the issue and the likely implementation of futile emission policies that will impose direct extra costs on every household and enterprise in Australia to no identifiable benefit. Not only do humans not dominate Earth’s current temperature trend but the likelihood is that further large sums of public money are shortly going to be committed to, theoretically, combat warming when cooling is the more likely short-term climatic eventuality. In one of the more expensive ironies of history, the expenditure of more than $US50 billion ($60 billion) on research into global warming since 1990 has failed to demonstrate any human-caused climate trend, let alone a dangerous one. Yet that expenditure will pale into insignificance compared with the squandering of money that is going to accompany the introduction of a carbon trading or taxation system. The costs of thus expiating comfortable middle class angst are, of course, going to be imposed preferentially upon the poor and underprivileged.